When you think about working in an office, you probably don’t spend a lot of time thinking about workplace injuries. However, according to the Bureau of Statistics, tens of thousands of injuries and/or work-related health issues are reported by office workers each year. Whatever your place of business, a private office with a few employees or a professional office building employing hundreds, there are potential hazards which can result in personal injuries. The National Safety Council reports that slips and trips are the most common types of office-related injuries. Wet or damaged floors, spills that are left unattended to, loose rugs, and electrical cords that lay across areas where there is foot traffic all constitute workplace hazards. In the winter, ice, snow, and rain can create outdoor hazards on steps, ramps, walkways, and parking areas. Office injuries can also occur due to excessive noise, insufficient lighting, or poorly designed workplace ergonomics. Poor indoor air quality has been getting a lot of attention due to the rise in “occupational asthma”, chemical sensitivities, and allergies. Indoor air quality is affected by poor ventilation systems, the use of chemicals, and mold and mildew due to leaks, to name a few. If you’ve been a victim of a hazardous condition in your office, you may have a legal claim to bring a personal injury lawsuit. As a result of your lawsuit, you may be able to recover compensation for damages due to negligence, carelessness, or liability on the part of your employer(s). The Rapid City Law offices of Gregory Yates and Michael Schubeck have over 40 years of litigation between them and are known throughout South Dakota for successfully litigating these type of cases. The idea behind a personal injury lawsuit is to recover monetary damages to help cover any expenses that are incurred as a result of your injury, including hospital and doctor bills, the cost of physical therapy, and any long-term medical care that be needed. In addition, you can be compensated for lost wages and pain and suffering. However, the “burden of proof” falls on you to provide evidence/documentation that your injuries were the result of negligence or carelessness on the part of the defendant. There’s a lot riding on having a successful outcome in a personal injury lawsuit, so it’s important to get the best legal advice possible. Personal injury attorneys Gregory Yates and Michael Shubeck have successfully represented hundreds of clients in personal injury cases and are committed to getting you a settlement that is fair and equitable. 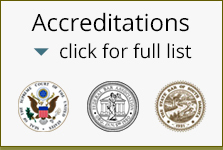 At Rapid City Attorneys, your first visit is a free consultation. At that time, Mr. Yates or Mr Shubeck will give you their professional opinion regarding how to progress should you decide to take legal action. Attorney fees for personal injury cases are on a contingency basis and only paid after a settlement has been reached. If you have been injured in accident that occurred in your office, call the office of Rapid City Attorneys to schedule your free consultation.